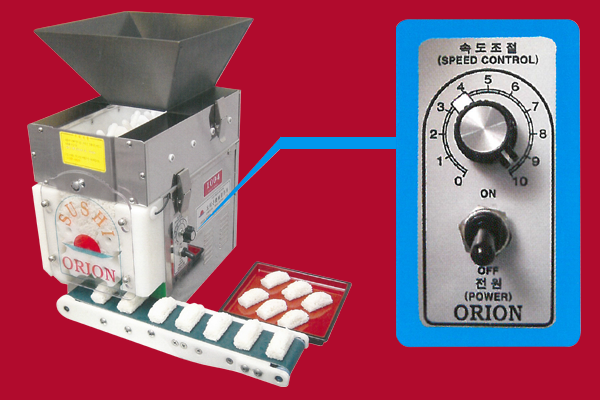 This machine can form various types of rices. (16g ~ 26g) ! 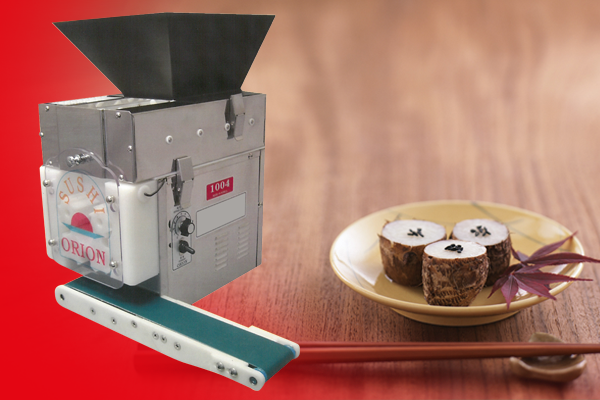 Unstickable materials are used where the rice pass through, so that rices are not stuck on the machine. This machine overcomes the defects of Teflon coating rubbed off where the rice go on by as the machine is used for long. The passages of rice are not Teflon-coated, but are of the original material, so that rice are not stuck on the machine even though the machine gets rubbed off caused by a long usage. The front window is transparent that the forming process can be seen. The belt, mould, and rollers can be easily disassembled for washing.